Cambodia’s government officials, representatives of private sector, research community, NGOs and development partnersgathered here today at the Cambodia Outlook Conference 2015 under the theme of “ASEAN Economic Community 2015 and Beyond: Our Reform Agenda”. In his keynote address at this special occasion, Samdech Akka Moha Sena Padei Techo Hun Sen, Prime Minister of Cambodia, called on all participants to pay attention to the establishment of ASEAN Economic Community (AEC), especially its impact on Cambodia. “I would like to highlight related aspects of the conference theme that include: the impact of the establishment of AEC 2015 on Cambodia, the important role of our Industrial Development Policy and the way the government, the private sector, development partners, research community and stakeholders can work together to reflect the new aspect of Cambodia based on past achievements and future potentials and the best way to maximize gain from AEC 2015 and beyond,” he underlined. According to Samdech Techo Hun Sen, Cambodia is committed to pushing for more in-depth and effective reform to realize the national development goal and enhance our competitiveness in the region, especially the AEC 2015 and the world. Going forward, Cambodia will strengthen its economic partnership with other ASEAN and East Asia countries by ensuring an open economy in the global market, a key to achieving economies of scale and competitiveness, expansion of regional investment and trade and poverty reduction, he added. 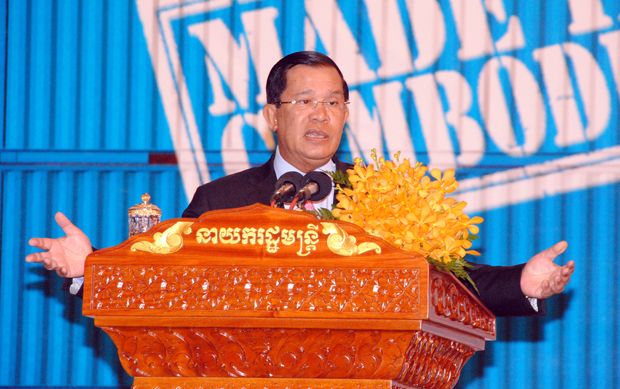 Samdech Techo Hun Sen said in the context of such evolving regional architecture, Cambodia has become a candidate with great potential for industrial development through the linkage with the so-called “global factory” in Asia by striving to enhance physical, digital and institutional connectivity and create a dynamic regional market. 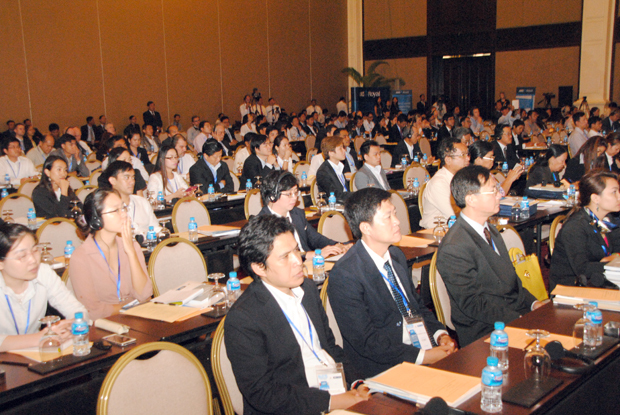 In this sense, he pointed out, investors can benefit from investment in the industry and other sectors with great potential in Cambodia which has an open economy, young labor force hungry for knowledge and technologies, improved infrastructure, growing middle class, increase in purchasing power due to the high frequency of income earned, favorable geographical location and good cooperation with the international community. Overall, he said, Cambodia has been well prepared for the AEC 2015 and succeeded in undertaking the required reform. This performance is partly due to the openness of Cambodia’s economy, early ASEAN membership and firm determination of the Royal Government and the private sector to fulfill AEC’s requirements. Based on the ASEAN’s scorecard that benchmarks implementation progress and the AEC’s requirements, Cambodia is ranked 3rd behind Singapore and Malaysia in terms of preparation for AEC. Overall, ASEAN Economic Community 2015 is realized along with some new opportunities for Cambodia, said the Cambodian premier, indicating that those include the establishment of New Development Bank of BRICS Countries (the 5 emerging countries including Brazil, Russia, India, China and South Africa) in Shang Hai and Asian Infrastructure Investment Bank in Beijing to which Cambodia is a signatory with an expectation to get new partnership in our development cooperation.